Daniel Preston “Danny” Cox, age 53, resident of Memphis and husband of Jennifer Murphy Cox, departed this life Sunday evening, March 17, 2019 at St. Francis Hospital in Bartlett. Funeral Services for Mr. Cox were held at 2 P.M. Wednesday, March 20, 2019 at the Peebles West Funeral Chapel at Oakland with Dr. Kenneth Culver, pastor of Warren Community Church in Somerville, officiating. Interment followed in the Wyatt Cemetery at Hornsby. Arrangements were provided by Peebles Fayette County Funeral Homes & Cremation Center – West Chapel at Oakland. Danny was born March 19, 1965 in Fayette County, Tennessee, the son of Carolyn Stafford Cox and the late Jerald Max Cox who died in 1998. He received his education in the Shelby County School System and was married in 1991 to the former Jennifer Murphy. He was a resident of the Memphis area since 1972 and was self-employed as a carpenter for many years. 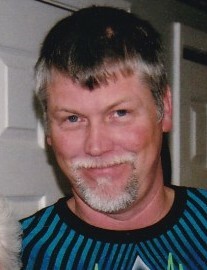 Danny was of the Baptist faith and enjoyed special times with his family, his cats and dogs and working with his hands. Mr. Cox is survived by his wife of 27 years, Jennifer Murphy Cox of Memphis, TN; his mother, Carolyn Stafford Cox of Oakland, TN; and his sister, Angela McCutchen of Oakland, TN. Those honored to serve as pallbearers were Bryan Rose, Damien Rose, Keith Pitman, Ronnie Cox, Blain Duty and Adam Allred. Honorary pallbearers included Rob Cox. The family requests that memorials be directed to Fayette Cares, P.O. Box 326, Somerville, TN 38068.